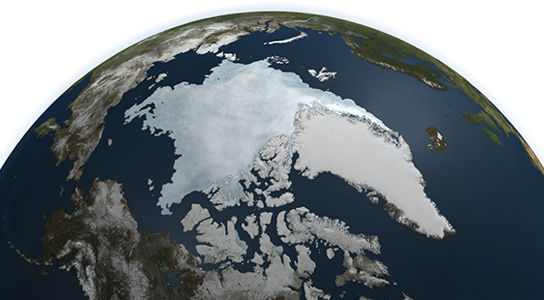 Following a season of unstable conditions this summer, the Arctic ice cap will have a record-breaking melt. This has been reported by the National Snow and Ice Data Center. The numbers have been coming in and scientists have been looking at them with a sense of amazement. If the melt were to stop today, it would be the third lowest ice level on record, thanks to satellite imagery. There are still two more weeks of melt to go, so it’s very likely that there will be a new record low. 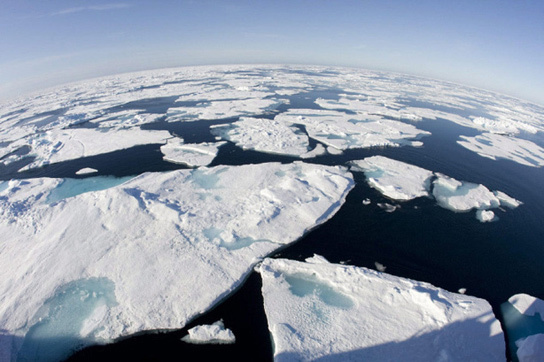 The NSIDC is located at the University of Colorado, and it has been comparing the data against the 2007 sea ice level, when the Arctic cap shrank to a record low of 4.25 million square kilometers. That decrease was explained because of enduring patterns of high pressure over the central Arctic Ocean combined with low pressure over the northern Eurasian coast. 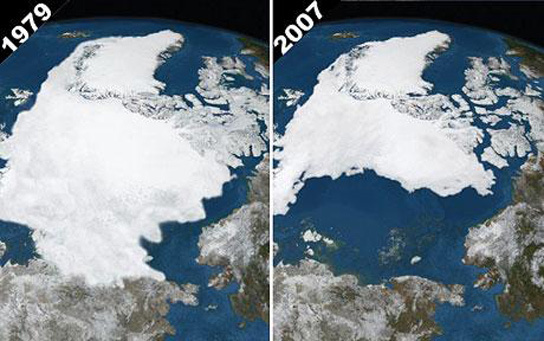 For 2012, those conditions have not been consistent enough. From the end of June, the rate of loss was recorded at being 100,000 square kilometers per day, but this number doubled for several days in August. This was due to a cyclone that brought warm winds to the region. Above and below temperatures have both been recorded; with above temperatures in Greenland, northern Canada and Alaska that are between one and three degrees Celsius higher than average temperatures recorded since 1981 and parts of eastern Siberia and its sea at lower than average temperatures. On August 13th, the remaining surface area had been estimated at 5.09 million square kilometers, 2.69 million square km below the 1979 to 2000 average for the same date. Scientists are blaming global warming and warn that a total melt during the summer months would have devastating effects all over the world. 3 Comments on "Arctic Sea Ice Set for a Record Breaking Melt"